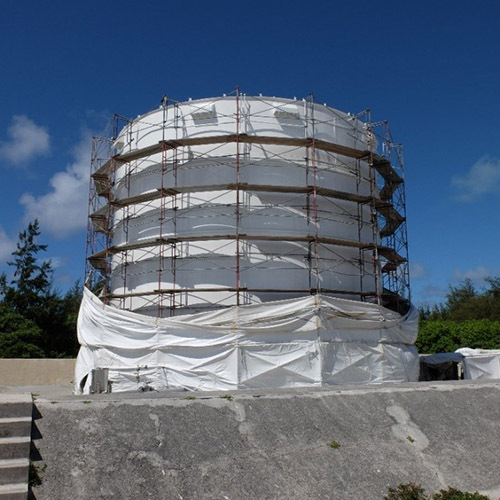 GSI has successfully performed both design-build (DB) and design-bid-build (DBB) projects for new horizontal and vertical construction and renovations, including construction for petroleum, oil, and lubricants (POL) facilities and infrastructure for the Department of Defense (DoD) across the Continental United States and the Pacific Region. Our experience includes performing these projects for the United States Army Corps of Engineers (USACE) Honolulu and Omaha Districts; U.S. Army and Engineering Support Center, Huntsville; Air Force Civil Engineer Center (AFCEC); Naval Facilities Engineering Command (NAVFAC) Hawaii, Northwest, and Marianas; NAVFAC Expeditionary Warfare Center (EXWC); National Park Service; and private sector clients. To date, GSI has been awarded nearly $2B in multiple award contract capacity and has successfully executed 112 construction projects valued at nearly $135M. GSI's construction division offers quality and cost-effective general contracting and DB services. GSI provides project management, construction quality and safety management professionals, knowledge of DoD contracting, logistical support, local engineering, and construction professionals for any project to meet our clients' needs. Building T-112, also known as Dunning Hall, was built in 1907 and is an important structure that is a key part of the Palm Circle National Historic Landmark District. 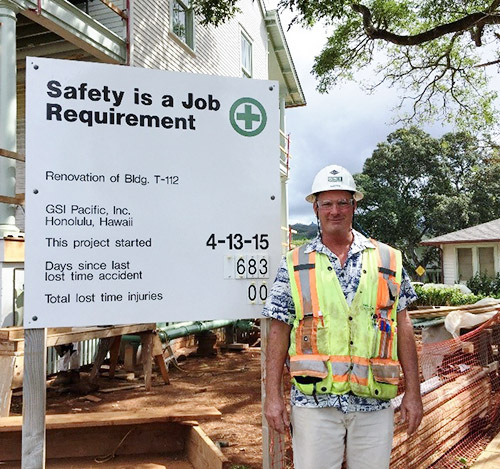 GSI was contracted by the USACE, Honolulu District for a design-build repair and renovation of the historical building. The work included removal of hazardous materials, structural repairs, replacing windows and doors, installing new lighting and data systems, and upgrading fire sprinkler and fire alarm systems. Historic items that were protected and preserved for posterity included historic graffiti on a second floor column, a basement foundation post, and charred rafters from a historic fire which the building survived. Download the Design-Build and Fuels Construction fact sheet.